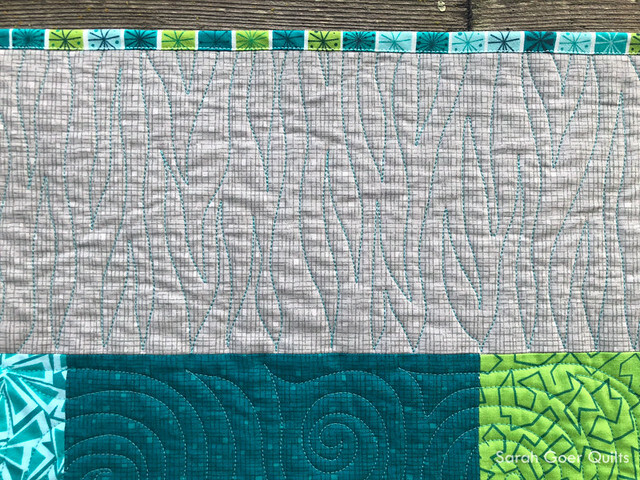 The choice of the turquoise thread is striking and a lovely touch, as is the binding. All around a beautiful finish! Thank you, Yvonne. I really had fun with the details on this one. 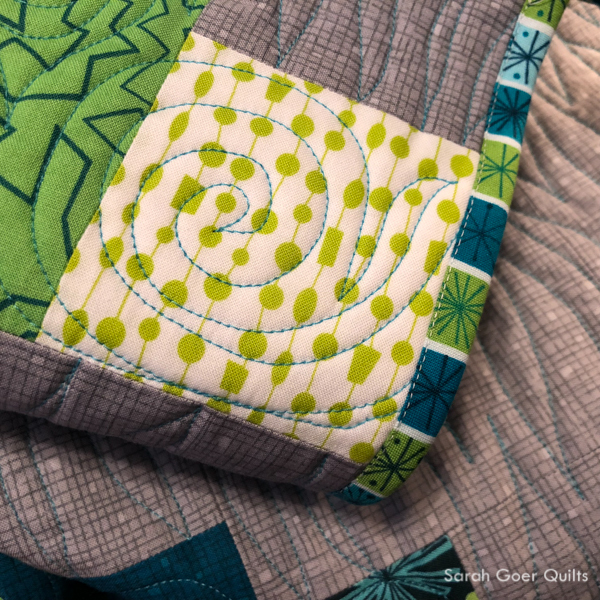 I really love the quilting, specially the flame design. The turquoise thread colour was a great choice. Lovely finish! Thank you, Soma. The best part about the flame design is that it's super forgiving! Thanks for visiting. 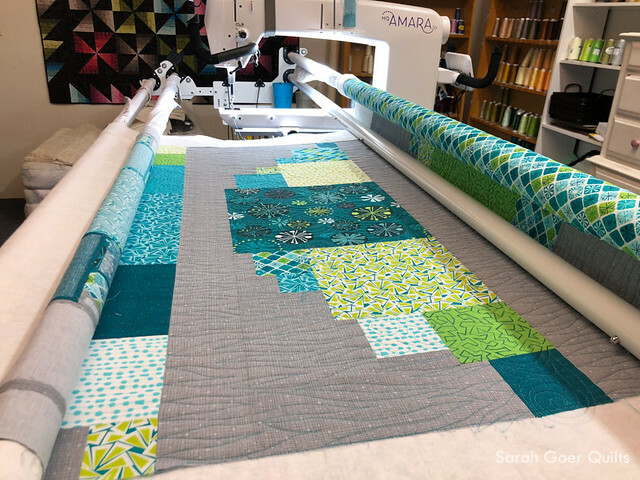 The Fandango fabric is so pretty, and I love the turquoise quilting! 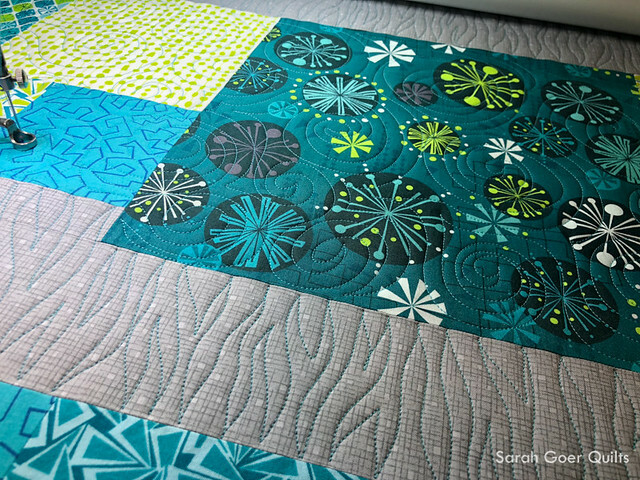 It just adds to the beauty of this quilt! Thank you, Wendy. The cool Fandangle colors are so *me* and I really enjoyed working with them. 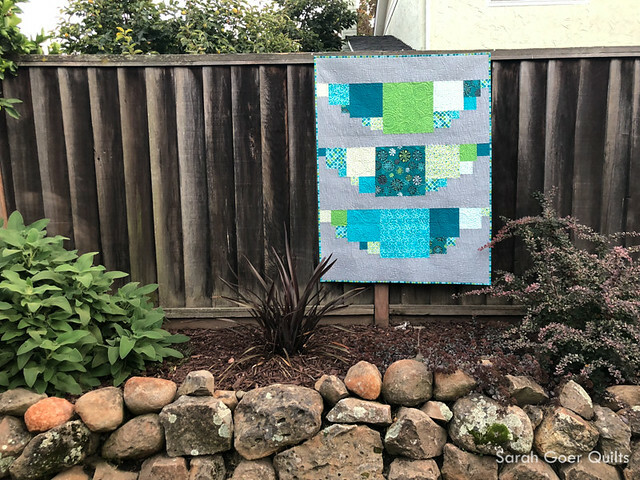 You did such an amazing job quilting this one! 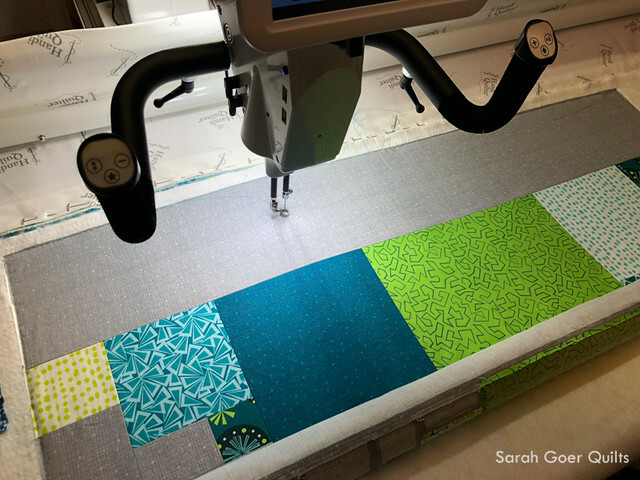 I would have been freaking out starting to quilt it being the first time using a long arm! Nerves of steel! Love the colors and the thread color is a beautiful surprise! 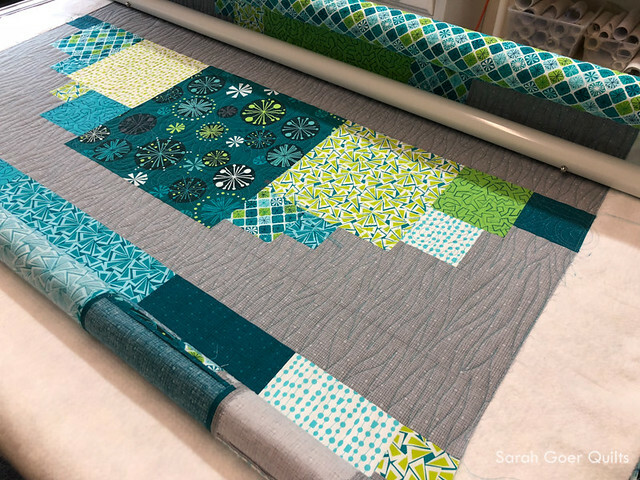 Everything about your quilt is lovely! 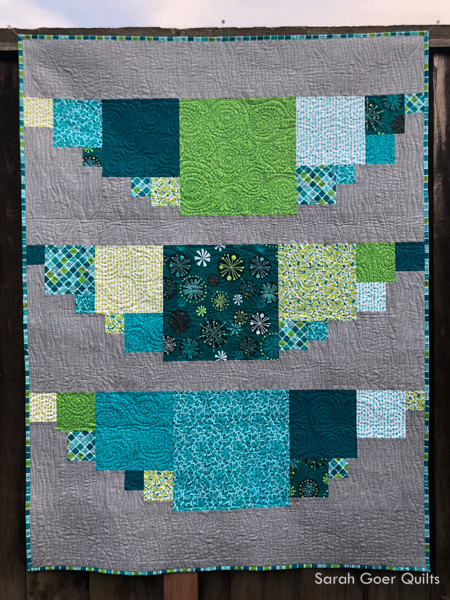 The shape of the piecing reminds me of an outstretched shaw, or maybe a very bright angel's wings. Thank you, Izzy! I'm so inspired by bright colors. They are a joy for me to work with. Thank you for visiting! 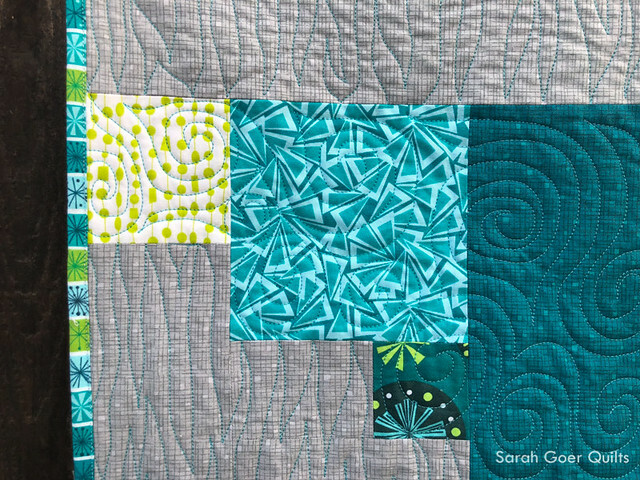 The turquoise thread was an inspired choice - it really makes the quilting. GORGEOUS finish! I love that palette. On behalf of the FAL global hosts, thank you for participating and linking up.